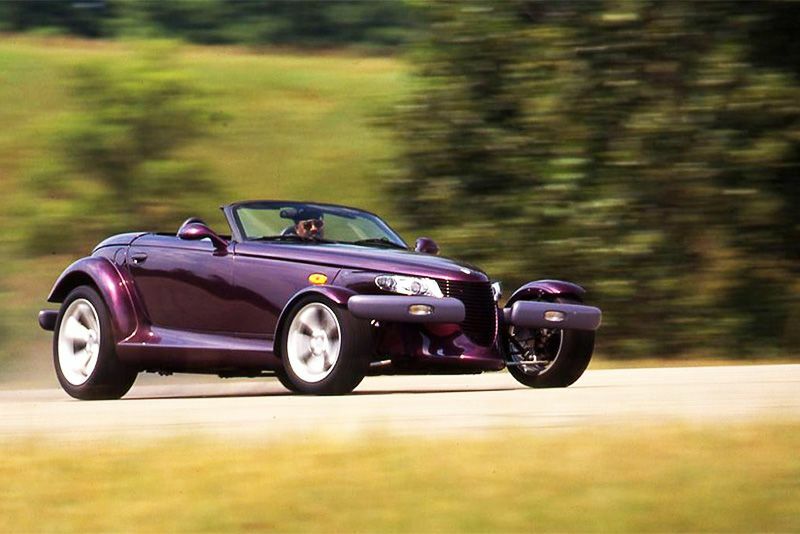 Weirdest Car Of The 90s... How About The Plymouth Prowler? Home / Automotive / Cars / Weirdest Car Of The 90s... How About The Plymouth Prowler? There are some very strange vehicles in the world but, as production vehicles go, the Plymouth Prowler might just take the cake. In the late 90s, many cars rolling off the production lines were so vanilla that even a mouldy piece of bread was more exciting. Chrysler, who was manufacturing Plymouth's, however, tried to do something about that and set the Prowler loose on an unsuspecting public. For those of you who were too young to remember this car, reactions were broad and varied – you either loved or hated it, with the bias towards the latter. It broke the conservative mould with such force that most couldn't actually process what they were seeing. That's possibly why it was only produced from 1997 to 2002, selling just 11,702 units. Look, the idea of a retro hot rod with a not to the 1930s is all fine and well, but the Prowler missed the mark and never gained the status of "follow-up show-stopper" to the Dodge Viper. Personally, 20-odd years on, I'm quite surprised it hasn't been appropriated by the mod gurus and turned into a proper cult hot rod. This is where we hand you over to Doug DeMuro to tell us more about why the Plymouth Prowler is the weirdest car of the 1990s. The Dodge Charger Roars For Your Attention! New-and-improved E10 Will Be Revealed Later This Year! Video: 2018 Dodge Challenger Srt Demon Will Be Revealed This Week.